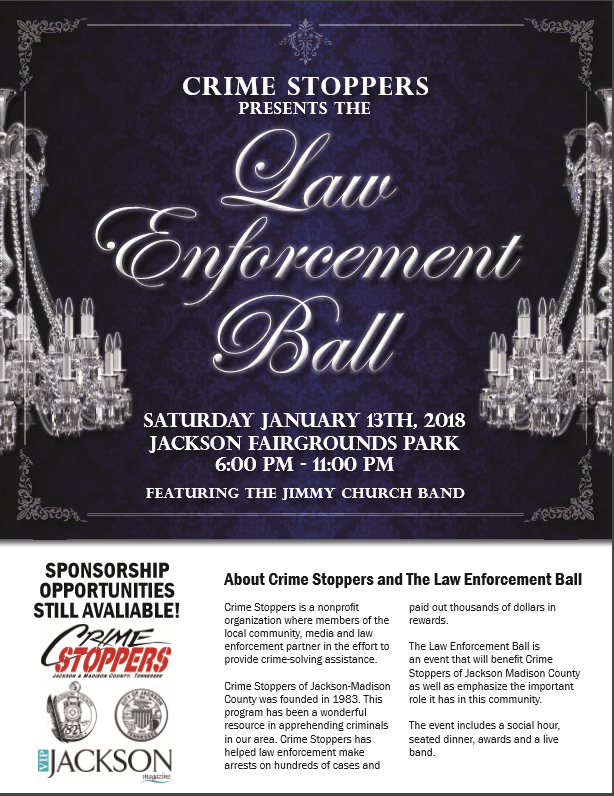 Crime Stoppers is Hosting a 2018 Law Enforcement Ball held Saturday January 13th at the Jackson Fairgrounds Park. 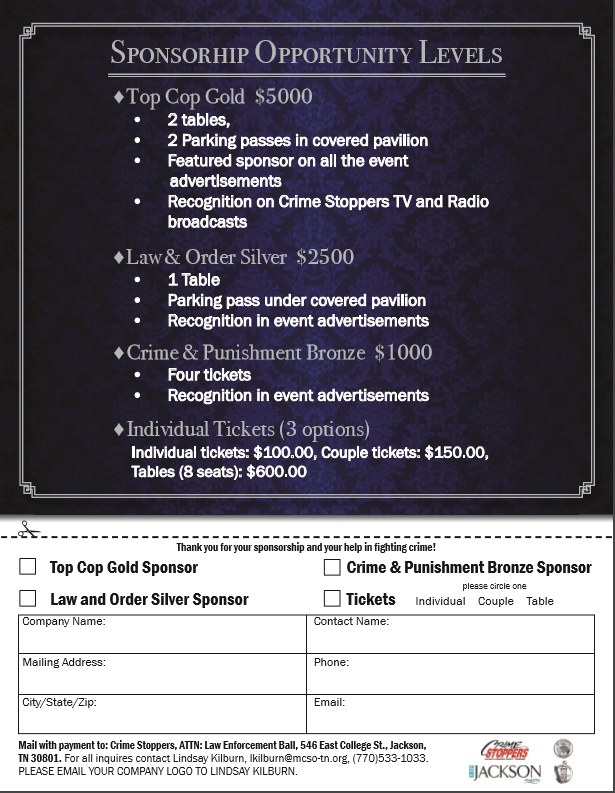 This Event will benefit Crime Stoppers of Jackson Madison County as well and bring the community and law enforcement agencies together for a spectacular event. The night will include a social hour, seated dinner awards and live entertainment by the Jimmy Church Band.